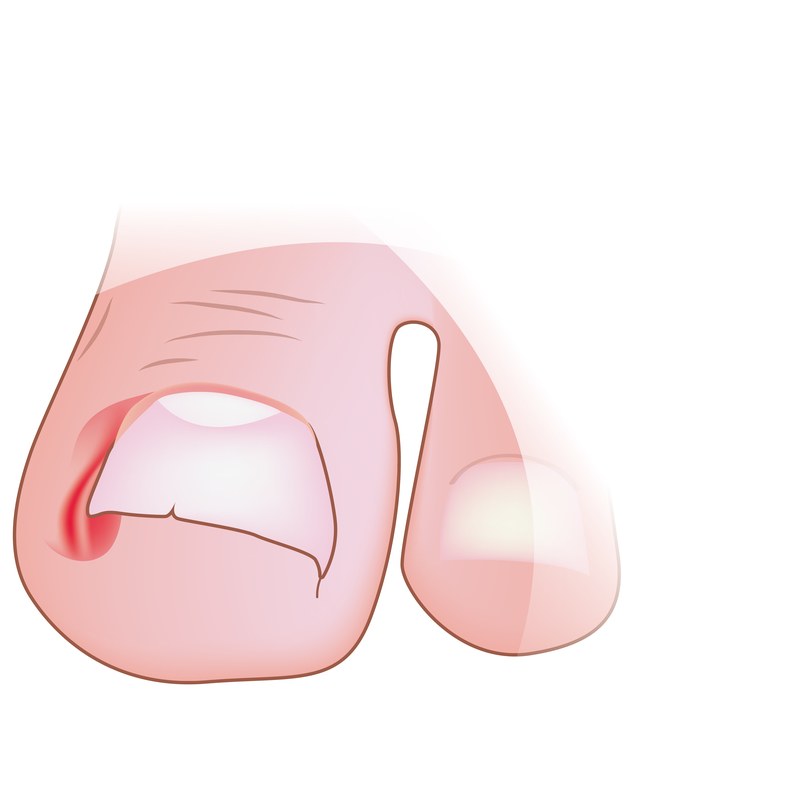 An ingrown toenail is a toenail with an edge that pushes into the skin and soft tissue at the side of the nail. This causes redness, swelling and pain, and can lead to infection. Symptoms can be worse when you are wearing a shoe, which puts pressure on the nail. The nail on the big toe becomes ingrown more often than other toenails. Ingrown toenails can be caused by cutting toenails improperly, by wearing shoes that fit poorly or by injuring the nail bed. Ingrown toenails also can run in the family.